A number of websites are today reporting the entry into the Flash Sales market of Gumtree who are now offering short breaks on their own version of the genre. Discounted Highland hotel accommodation is already featuring on the Gumtree Daily Deals for Edinburgh website and for certain more will follow. Lots has been written about the whole flash sales promo pricing issues and we're planning a full article next week but you can be assured that this is not the last entrant into this market. Groupon, ItIsOn, Living Social, Great Glasgow Deasl, 5pm.co.uk, Expedia, Booking.com, and STV have all moved into the marketplace. It is easily forecastable that anyone with a large enough database or readership (Newspapers and magazines boeing the obvious) will produce their own. The more alternatives there are the less effective some will be; the less effective they are the more tha distribution will change. How do hotels deal with it? That's for next week! Like other flash sale sites such as Groupon, Gumtree's deals are available for only a limited period - in the case of the hotel offering a couple of days. 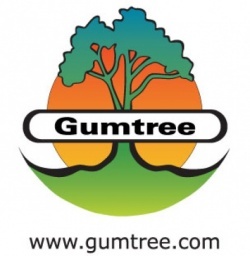 Gumtree, is better known as a place to search for accommodation, work or second-hand goods and attracts close to 14 million visitors a month, and they plan to use social media to ask users what offers they would like. Nothing really revolutionary there and certainly no big unique selling point. although it also claims that it will be the first flash sale service to consult with its customers via Facebook and a selection of deals will be tested by a group of volunteer bloggers who will write reviews of their experience to share with users. Again a slight add on but one that can easily be replicated by anyone with followers and a Facebook page. Hamish Stone from Gumtree said: “Online shoppers are becoming increasingly savvy to the offers that are available, both on the high street and online. With Gumtree Daily Deals we are creating a new and unique service that lets our users tell us what they want to see on offer." The initial thought is one that we hang onto as a core - "Flash Sales" or good old fashioned promotional pricing is a strategic way to fill some rooms but shouldn't be a single marketing strategy. The big issue however is trying to keep control of the offer as an inhouse promotion on the hotel's own website or in collaboration with destination marketing sites locally. They may not have the distribution but if a hotel has 5000 names on its mailing list and you send them a direct "Flash Sale" linked up to online reservations the return on investment may be massively increased.